Voicemail Testimonial from a recent attic cleanout/insulation removal project. "We were unwillingly running a bed and breakfast in our eaves. Squirrels and birds were living it up in there! Fed up, we got 4 estimates before opting to go with the Bat Guys and we are happy we did. 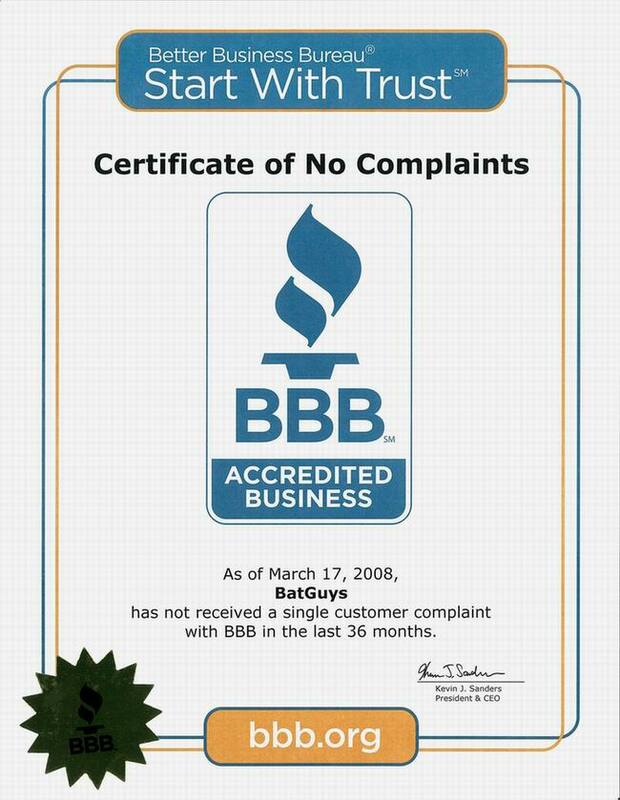 Bat Guys were very reasonably priced and also backed up their work with a 1 year guarantee. More importantly, we were very impressed with the professionalism and expertise the team demonstrated. I also like the fact that they embrace technology as evidenced by the quick response time to my emails (from work) and when they showed up at our house using a laptop with a GPS receiver!" "Two years after purchasing our new home we had a bat fly through our living room while we were eating dinner. We called the Bat Guys (perfect name!) and we were glad we did. 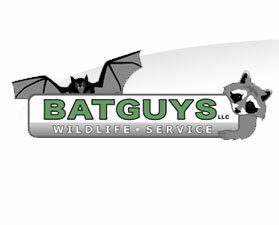 From the first phone call I was very impressed with their knowledge of bats and the level of service they provided. They showed up for appointments on time, returned all phone calls and did everything that was listed on the quote. It was nice to experience old-world service once again!" " I was very impressed with your knowledge of bats and your can-do attitude. I would recommend you to anyone with a bat problem." "Just wanted to drop you a note to say thank you for removing the skunks from under our foundation and getting rid of that awful smell!" "Thank you for removing the skunk from our garage!" "You guys are like the Raccoon SWAT Team!" "I was very impressed at how quickly you guys responded. Thank you so much for removing the squirrel." "The squirrels are gone and so is the smell. Thanks for the help." "Thanks for solving our bat problem!" "About a month ago I started hearing noises in a section of my attic over my office. I would hear the noise sporadically during the day while I was working from home. At first I wasn't sure if it was an animal on the roof or inside the attic. After hearing the noise 4 or 5 times within the course of an hour I decided to call my pest control company. I told them on the phone that I thought it was squirrels and that my house was very high and my roof was very steep. They assured me that they could handle it and we setup an appointment for the following week. The following Tuesday morning a representative for the pest control company arrived and to my surprise he was driving a small sub-compact car. The guy was very polite and was dressed in a white button-down shirt and was carrying a briefcase. If it wasn't for the logo on his shirt I would have thought he was selling insurance. We made our way up to the attic and he stood on the ladder that I got from my garage peering into my attic with a flashlight. He found a small dropping just inside my attic hatch and placed it into a plastic bag. When I asked him what he was doing he told me that he was going to send the sample to the "lab" to have it tested. After that they would determine what type of animal left the dropping. This took me by surprise. I remember thinking "how many different animals could it possibly be?" After the sample was secured he climbed down from the ladder. I asked him if he was going to inspect the attic and he told me that because my attic didn't have a plywood floor his company's insurance policy would not permit him to enter my attic. After that we went outside to take a look at the roof of the house. As we walked around the house there were no obvious signs of squirrel damage. The roof was only 2 years old and I just had my soffits rebuilt the previous year. After the exterior inspection was complete (a.k.a. walking around the house scratching his head) my pest control technician told me that he would send the sample to the "lab" and they would call me with the results within a week. I went back in the house after he left and was a bit bewildered. What could possibly be in my attic that is so difficult to identify that the droppings had to be sent to a lab? I returned to my office, got on the internet and began to do some research. After several unsuccessful searches I stumbled upon BatGuys.com. I made a call to their office and spoke with Matt on the phone. I explained my problem to him and asked if he could come out to take a look at my situation. Matt explained to me that he was finishing up a job in the next town over and that he could stop by on his way home (it was already 5pm at this point). Matt arrived at my house driving a truck full of ladders, dressed in camouflage shorts and a BatGuys t-shirt. In fact he still had cobwebs on his hat from the last attic that he crawled out of before he got to my house. After describing to him where I heard the noises he crawled through my attic hatch with a flashlight and made his way to the other end of the attic. He emerged from the attic about 10 seconds later and said two words "Gray Squirrels". I asked him how he knew and he said "Because there are 4 of them sitting in a nest in the far corner of the attic. An adult female and 3 juveniles". I asked him about the droppings around the hatch he confirmed that it was indeed gray squirrel droppings. Once on the outside of the house he confirmed what I already thought - there wasn't any physical damage on the exterior of the house. There wasn't any missing boards, chew marks or holes in the roof or the roofline. As we rounded the back-left corner Matt pointed up at the attic fan on my roof and said "There it is! Squirrels chew through the flimsy factory screening behind the cover all the time." He then explained to me exactly what needed to be done and quoted me a price for the service. Within 2 days he had trapped and removed all the squirrels from my attic and built a custom screen cover for my fan to prevent it from happening again. He had the entire job wrapped up before the pest control company called me back with the results of their "lab test". I just wanted to say thank you for the prompt service and let you know how impressed I was with your expertise."